Keogh’s crisps are a fantastic Irish range of gluten free crisps. Their packets are clearly marked on the front for ‘gluten free’. The potatoes and crisps are grown and hand cooked on the Keogh family farm. Their gluten free flavours include Roast Beef & Irish Stout, Dubliner Irish Cheese & Onion, Atlantic Sea Salt & Irish Cider Vinegar, Shamrock and Sour Cream along with Sweet Chilli and Irish Red Pepper. They come in share bag size, however, you’ll find yourself not willing to share them as they are so delicious! Keogh’s crisps have a large supply chain and can be found in numerous supermarkets and independent retailers nationwide. 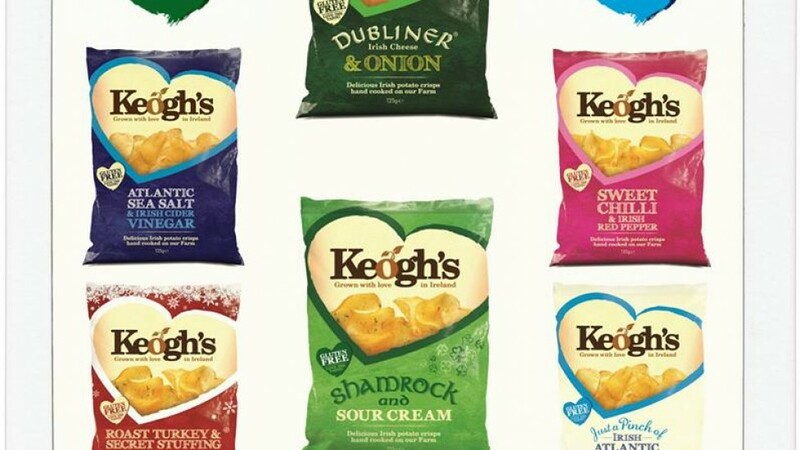 Keogh's Hand Cooked, Irish, Gluten Free Crisps are available in nationwide outlets.